Three fan kit with 24” oscillating fans. 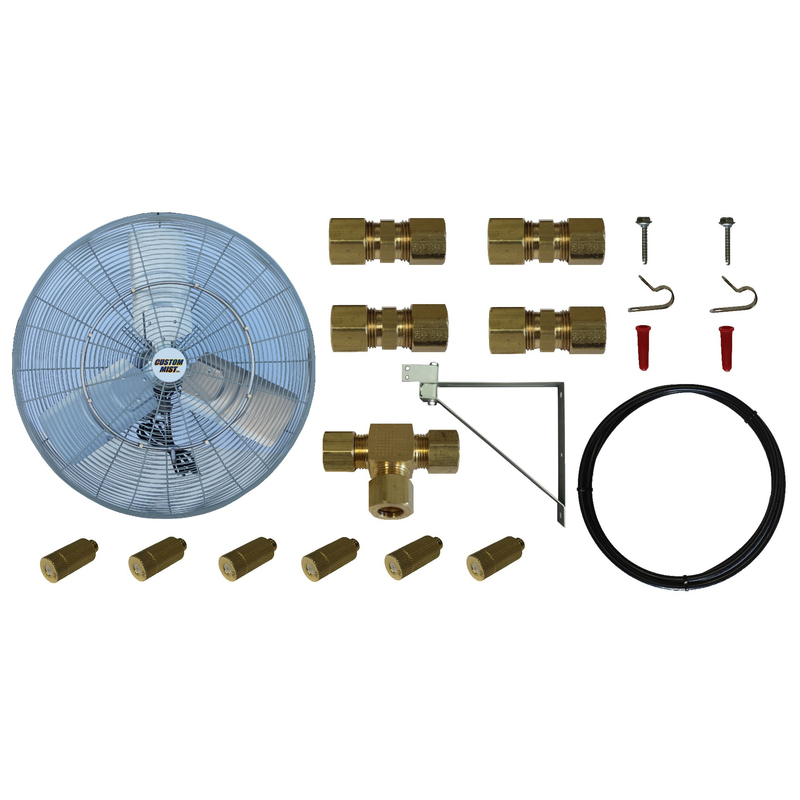 This kit includes Three 24″ wall mount fans, 3/8″ nylon tubing, fittings, nozzles, clamps, screws and all parts listed below. 3 24” Oscillating misting fans. 3 eight nozzle stainless steel mist rings. 24 .008 anti-drip misting nozzles. 3 Wall mount fan brackets. 75’ 3/8” black nylon tubing. 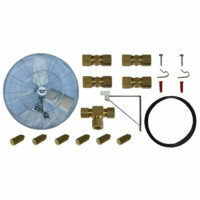 3 3/8” comp x ¼” fpt fan fittings. 40 stainless steel clamp, screw and anchor kit.